Four Canadian endurance riders have been invited on an 80km ride in China, as part of an initiative between the two countries. The ride, in Zhaosu Xinjiang next month is part of the Path to China initiative led by Equine Canada's Export Market Development program (EC Export). "Canada's participation in the Zhaosu endurance race is one of many opportunities that came as a result of the EC Export path finding mission to China that we conducted this past March," said Susan Stewart, a consultant to EC Export. Manama - May 28 (BNA) --An equine hospital specialized in horse medicine could be established in Bahrain.
. Shaikh Khalid paid tribute to Government authorities for their efforts to eradicate the Glanders, the infectious disease caused by a bacterium (Burkholderia mallei), which broke out in Bahrain recently infecting horses. Endurance Races Committee Chairman Shaikh Faisal bin Rashid Al-Khalifa and Breef Deputy chairman Shaikh Khalid bin Abdulla Al-Khalifa attended the meeting. Shaikh Khalid bin Hamad Al-Khalifa described Bahrain as a model to emulate in combating and promoting preventive measures against equine diseases. He credited particularly the Ministry of Municipalities and Urban Planning Affairs for drawing up viable plans and following up their implementation, which playing a crucial role in containing and eradicating the infectious Glanders disease in the Kingdom of Bahrain. Shaikh Khalid also paid tribute to SCYS Chairman and Bahrain Olympic Committee (BOC) President Shaikh Nasser bin Hamad Al-Khalifa for instructing concerned authorities timely to study the causes of the Glanders outbreak in Bahrain and contain its ramifications, hiring foreign expertise acknowledged in combating equine diseases. He also lauded the owners of stables and horses for their cooperation with the official efforts, stressing the crucial importance of mobilizing all efforts towards taking precautionary measures to avert any potential outbreak of the glanders disease anew. Present were Muharraq Municipality director-general and head of National Anti-Glanders Committee chairman Shaikh Khalifa bin Isa Al-Khalifa, animal health experts Nicholas Antoine and Nassem Al-Jazairi, Breef board member Shaikh Salman bin Saqer Al-Khalifa, Breef secretary general Ghalib Al-Alawi, Media Committee chairman Tawfeeq Salhi and Shaikh Khalid’s bureau chief Rashid Al-Shaikh. Lausanne (SUI), 24 May 2011 – The host nation of Kazakhstan captured all the medals at the 2011 FEI Central Asian Endurance Championship staged in Talgar earlier this month. Altyngali Bissemaganbetov claimed gold, while Amangeldy Munaitbayev took silver and Kairzhan Andybay clinched the bronze. Just six of the 16 starters completed the 80kms course, and the only non-Kazakh in the final line-up was the sole competitor from Turkmenistan, sixth-placed Oleg Karabayev. Bissemaganbetov made history as he secured his success riding the Adai horse Oyly. The Adai, a breed native to Kazakhstan, was only recently awarded an official pedigree following tests conducted by a State Commission in the Mangistau Steppes earlier this year. These horses are cherished for their hardiness, and Oyly proved just how tough they can be. The sport of Endurance is growing in the region, and Kyrgyzstan was also represented as the competition got underway on 15 May. Talgar, which lies close to the city of Almaty, is at the foothills of the Zailiisky Mountains where the Asian winter-sports championships regularly take place. The town is also on the Silk Road – the network of trade routes that stretches across Asia, linking East to West – and close to the Caspian Sea. Demonstrating the spread of the sport, some of the competitors travelled over 500 kilometres to compete in the championship. Parts of the course traversed the ski slopes and there were some mild undulations, but the track for this 1-Star event was not intended to be over-taxing on either horses or riders, many of whom were relative novices at this level of the sport. The finish proved a tight one however when Bissemaganbetov crossed the line just fractions of a second ahead of Munaitbayev riding Akkanat. The winning partnership, who crossed the line after 04:50:40 hours, covered the course at a rate of 16.56 kms per hour while Munaitbayev was only fractionally slower in 04:50:42. Third-placed Andybay and Kertobel took five hours and four seconds to complete the track, competing at a rate of 15.78 kms per hour. President of the Ground Jury, Mr Hallvard Sommerseth, said he was delighted with the way the Championship evolved. “This was a big event for the competitors in this region – it takes time to develop the required skills, but the riders did very well indeed,” he said. He was most impressed with the winning horse, Oyly. “The Adai is bred in Kazakhstan and I had never seen one before. They are very hardy, they never wear shoes and they have a surprisingly quick recovery-rate. They can also drink the salt-water from the Caspian Sea – I thought only camels could do that!” he added. The 2011 FEI Central Asian Endurance Championship was organised by the Kazakhstan National Federation under the watchful eyes of President, Mr Alexandr Machkevitch and Secretary General, Mr. Sergey Buikevich. Gold – Oyly (Altyngali Bissemaganbetov) KAZ; Silver – Akkanat (Amangeldy Munaitbayev) KAZ; Bronze – Kertobel (Kairzhan Andybay) KAZ; 4, Batiy (Dina Turganbayeva) KAZ; 5, Albatros (Asset Zhakupov) KAZ; 6, Albatros-Zakat (Oleg Karabayev) TKM. National and local horse racers will compete late this week in the first-ever Governor’s Cup for the equestrian class, elevating Bohol sports to a spectacle staged just for the amazement and joy of only the kings and nobility in ancient time. Although modern racing exists notably because it is a major venue for legalized gambling generating in 2008 alone a worldwide market worth $115 billion, the horse match here likewise intends to make the sport motivate livestock breeding for livelihood. The event dubbed the “Governor’s Cup: Survive Bohol 2 – A Horse Competition and Endurance Race” is set for thrill on the Bohol Island State University (BISU) grounds in Bilar starting Friday, May 27, until Sunday. Skillful jockeys with their prized horses, known trainers, breeders and even just mere lovers of the swift animal from Manila, Cebu, Davao, Bukidnon and Cagayan de Oro are coming for the event that is truly rare in this part of the country. Gov. Edgar Chatto will lead in gracing the opening of the three-day horse derby initiated by the Bohol Horse Riding Club, Inc. (BHRCI) in cooperation with the provincial government, Department of Agriculture – Ubay Stock Farm, BISU, and the LGUs of Bilar, Dimiao and Calape. The competition kicks off in a 12-hour 80-kilometer endurance race from BISU in barangay Zamora in Bilar to Dimao and vice versa, making as a fit horse track the rugged road that cuts across hills. Endurance race is much like a marathon, often with multi-day rides which fastest time claims the crown. Endurance racing began in California in 1955, and the first race marked the start of the Tevis Cup, a 100-mile one-day-long ride. Jenny Weston, head vet on the 2011 Mongol Derby, is interviewed by Derby organiser Katie Willings exclusively for Horse Hero. Her answers provide an extraordinary insight into horse culture in Mongolia and the organisation of horse welfare on the 1000 km race. Question: You are a 4* accredited FEI vet and have a great deal of experience vetting at high profile endurance rides. How does the Mongol Derby compare to an FEI endurance event? "To complete is to win!" Answer: The Mongol Derby is similar to endurance riding in general with the motto "to complete is to win" pretty much upper most in the minds of most of the competitors. As always there are those few who truly do want to win but for most it is about seeing the countryside, spending time with the horse and testing yourself. In endurance there isn’t supposed to be outside assistance and there is a marked track – that is very different in Mongolia! Vets and race organisers will come to your aid if called upon, the riders constantly assist each other, and the locals will give up their bed for you (literally) if you turn up at their ger in the evening. There is no marked track – it is all navigated by GPS. The vetting criteria for pre-ride selection and post-ride evaluation, however, are very close to those used in FEI endurance rides. Heart rate recovery parameters are the same – 64 bpm within 30 minutes, and this is for horses whose resting HR is usually considerably higher than a fully fit endurance horse. We also assess hydration of the horse and gait, to check that the horse is fine to be returned to its owner after having been ridden. Dubai: It's not everyday that you get to sit down and have a lively and enlightening conversation with a pioneering jockey turned avid racehorse trainer — especially when you've been a fan of the sport for as far as you can remember. So, when I got the chance to meet Aziz Al Redha, one of the greats of horse racing in the UAE, the encounter gave me an understanding of just how important a role he has played given the context and prominent position that the sport now enjoys. It did not take me long to realise that even after 30 odd years in the business, Al Redha is just as obsessed with horses, and on winning, as he ever was. After we talked shop about the "good old times" and the growth that the sport has benefited from, he answered some burning questions with anecdotes and witty comebacks. We began to share a bond and it helped strengthen my comfort levels at the risk of being spontaneous. This provoked me to explore his love for the sport of endurance, which seems an unusual destination for somebody who was passionately involved in racehorses. "This is entirely different to what I did for 20 years in racing. Now I'm running my own small yard mainly for endurance," he said. "I got into endurance out of coincidence, by just playing around with some retired race horses. As the sport was becoming popular in the UAE I thought I'll have a go and learn something. I had a trial and error attitude to it all. But alhamdulilla [All praise is due to Allah] we've been pretty successful. "I train mainly for my daughter Laila who is a good rider and a serious [competitor]. We — my wife and I — taught her since she was three. She's done dressage and jumping before she got into endurance, so she has the right balance, the handling and the feel," Al Redha explains. "Endurance doesn't teach you that, nor does a riding school. To be a good endurance rider you have got to be relaxed and you can only be relaxed if you are confident..."
The punch in the air from Mary King as she crossed the finishing line was familiar. But this time she was completing her first taste of endurance riding, choosing the tough terrain of Exmoor for her debut. King, who jumped from the saddle and minutes later was dashing away for a journey to France for a three-star horse trial at Saumur, had accepted an invitation from the famous Golden Horseshoe Ride to negotiate the first 40km (25 miles) of an 80km (50 mile) competition. And she completed at 12.8kph, fast enough to be listed among the possibles for a Gold award had she completed the second day at a similar speed with her horse clear of veterinary penalties. The 4th edition of the Raid du Luxembourg will be held 25 June, 2011, near Schweich. Fresh from her historic one-two in Kentucky, eventing champion Mary King will join riders from all over the country when she makes her endurance debut in a ride over Exmoor on May 16. She will be escorted by endurance Young Rider champion Abby Chisholm when she rides the first 25 miles of the famous Golden Horseshoe 160k (100 miles) course, which has attracted riders such as six times Welsh national team member Mary Korn and 20-year-old Carri Ann Dark, who has competed in the Young Rider World championships. The Golden Horseshoe Ride, held over three days and starting on May 15, is held over the very demanding terrain of Exmoor, and with the European Endurance Championships scheduled for later in the year over similar country in France, it is likely that riders hoping to catch the eye of selectors could include it in their work-up programme. Experienced international endurance riders include Karen Jones and Tricia Hirst together with World Equestrian Games British team members Christine Yeoman and her brother-in-law David. Christine, David and Karen will all start in the Exmoor Stag class, to ride 120k (75 miles) over two days. Tricia will compete in the Exmoor Experience, which is 80k (50 miles) over two days. Twelve riders will start in the 160k (100 miles) class, among them three who already hold Bronze and Silver awards from previous years – Gillian Talbot from Chepstow, Alison House, based in Glastonbury, and Anthony Sargent, who lives in Dorchester. MOST people approaching 70 could be forgiven for wanting to take it easy. Not Denis White. Instead of putting his feet up, the Ingleside resident trained like a marathon runner to compete in the Cedar Ridge 80km Endurance race at Oberon over the Easter long weekend. And he wasn’t just there for a scenic ride. On Jasali Shataan he beat a field of 86 other riders in a time of 4 hours, 51 min 22 sec - more than 40 minutes ahead of his nearest competitor. It is a news for Belgium, but also for the neighbouring countries. The FEI has disclosed to information that Mont Le Soie finally got the right to organize the next European Championship for Young Riders. The event will take place on 8th of September. "The route is already well-known, but we will try too make it even better" commented Pierre Arnould, the organizer and also Belgian Chef d'Equipe. "We have the venue and the good infrastructures; we will rely on all Belgian forces willing to work for the sake ofg endurance" said the Belgian Coach. The FEI Bureau has allocated the 2012 World Endurance Championship for Seniors to Euston Park (GBR), August. (exact dates TBC). Full report from Andrea Baker – Chef d’equipe of the World Class Start and Potential squad. The trip began at the Dover Lairage stables on Tuesday 26th April. All horses arrived and squad members introduced to each other. This was the first time that a multi-squad trip had been arranged to a European Ride. A challenge, since we had riders out on Saturday and Sunday in the FEI classes - but nothing the squad management where not prepared for! We headed off on the early morning ferry from Dover to Calais, and our three squad lorries made the drive to Southern Belgium arriving in the beautiful Ardennes Forest region at 5pm. The venue at Mont le Soie is wonderful and has everything you need on site. The ride hosts once again provided us with super permanent stables, shavings beds and as much lovely hay as the horses could eat. During the day, horses where able to be corralled for most of the day. Thursday and Friday where spend with the horses in the mornings, vet inspections, trot-ups and ridden exercise out on the course. The afternoons spent driving the course and following the extensive crew ‘road book’ instructions provided by the organisers to locate the assistance points. On Friday, our 160k class entry - Rachel Atkinson with Vanash, vetted fit to start the ride. All riders attended the ride brief at 5pm since this would be the same for the Saturday and Sunday Classes. On Saturday morning, Rachel rode out at 6am. 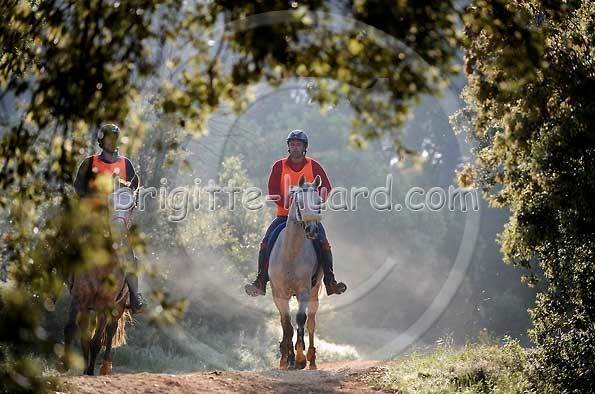 The start was delayed for 15mins due to a horse unseating its rider, then galloping off into the forest alone! Not how you want to start a ride! The horse was found shortly after the other competitors started and under the 15min start rule, the rider re-mounted and re-joined the competition. That shows true spirit! Various squad riders and crews supported Rachel throughout the ride, all day long. The MT where waiting at each vet gate and Vet, Farrier and Physio – worked alongside Rachel’s crew of Husband – Andrew and Daughter Kate. Rachel rode the ride to plan and achieved 6th place in the 160k 3* Belgian Championship class. There where quite a few horse here from other European nations, using this as a test for the forthcoming Europeans at Florac later this year. After our Saturday success – we set our 9 riders and horses off in the 120k 2* class on Sunday morning. Riders from France, Belgium, Sweden and the Netherlands joined them. The class consisted of four loops and three vet gates. There was a compulsory re-check with the vets at the third. The speed of the first loop was a little slower than last year, but a little too fast for a lot of our riders. The Mont le Soie ride is very hilly, forestry tracks, slippery tarmac and hardly any flat going. Mostly you are climbing back towards the venue and vet gates with the venue standing at 600mtrs. Congratulations to all riders participating in this great race, whose sportsmanship, have shown that the vast majority of Equestrian Endurance riders do not seek extra help for the competition. This is normal in equestrian competitions, which are not to cut corners, but that training is the best aid to compete with the best results. The second Raid of Lluçanes, a CEI *** 160 km is completed. The last phase has been good move, as Maria Alvarez came out with advantage of a minute and a half over Jaume Punti and two on Alex Luque, could not keep up and has dropped to 12'09Km / h in the latter phase going to a sixth place in the final standings. Jaume Punti rode at 17'17Km / h in this last phase, but has been eliminated. The winner of the test has been Alex Luque has traced the two minutes it took the head apart and running 17'59 km / h. was proclaimed winner of the CEI *** 160km. Have completed 37 pairs and 20 deleted or removed. The final complete classification with lap times, recovery times and final standings can be found here at: Equestrian Endurance Timing Services. We recorded 200 horses during this first-of-May week-end in Mont Le Soie. We had a bright weather, a bit chilly and windy but with clear skies most of the time. That was in the advantage of the horses even if the crew had to play with the rugs (putting on, removing, re-putting on) depending of the horse temperature and the sun playing with the clouds. A lot of foreigners, actually a record for this 2011 edition. The ride manager is thanking all riders who did long hauls to reach Mont Le SOie, and also the Belgians, who honoured the ride. All in all, Mont Le Soie is becoming one of the endurance competitions on the international circuit. The going was predicted as easier thanks to the rain which had fallen during the days before. But it didn't rain enough to soften the trails and the going was quite hard. As a consequence, the average speed was lower than previous years; riders had to cope with the circumstances, which is normally the case for endurance riders, isn't it? Finally the completion ratio is good, ranging from 60% to 70 % depending on the races. On the 160, the course of events was crystal-clear. From the beginning, there was a pack of leaders setting the pace. There were the three French riderss (Begaud, Dumas, Couderc) accompanied by the Belgo-French Wendy Fallon. Elise Couderc has in fact Belgian connections as she used to live in Belgium for several years as a forestry technician where she rode Shanon from the early qualification stages. This quartet of riders was in fact a quintet until the 5th loop when Aurelie Wery was pulled for lameness of her gelding. A bit behind, the Belgian Di Geronimo, De Wasseige and Just. The Bristish lady Atkinson did also a good ride, constant in the pacing. Like the Dutch Van Wijk and the Swedish Hagman. They were probably there to look for a completion on 160km. Job done! As far as eliminations, there was one at the first loop cause by a fall (Van Cauter, Taborah de Sier). Bienfait gave up also after she felt from her horse at the start. Lut�ce de Crouz was looking for a selection in the Belgian Team from Florac but wasn't able to pass the 4th vetgate, horse lame. On the contrary of the 160, the 120km-ride-for-juniors has had unexpected development during the last loop. The leader Anciaux did a hard job on the 3rd loop to increase the gap with the pursuers. That has the only tactic she could handle with her mare who needed more time to recover. So she started the last loop in the lead leaving the others 11 minutes behind. But her mare collapsed during the last climb back to the venue and was passed by three horses. At the end, Emeline Piron on Alicia finished first and detached. Alicia d'Havenne is a mare coming from the EWalraid program (a incentive program financed by the Wallonian region to help the breeders from Wallonia to promote their horses). She was trained and ridden by Dominique Evrard until recently (she brought her toward two selections in the Belgian team, Assisi and Lexington). On Sunday, there were two international FEI rides, one CEI** 120km and one CEI* 100km. At the same time there were 100 horses coming for the national tests on 20 to 80km. On the 120km, the British Team (called the "World Class Start and Potential Squad") entered the ride with 9 horses. They did quite well as six of them completed the ride and it looked like they were happy as they confirmed their participation for next year. In the lead, victory for the good French mare Sharirah du Vent ridden by Simon Bellot. This morning, Thursday April Fair of Seville 2011, we had a festive gathering many of the participants of the VI Kaliber-Andalucia. The Organizing Committee of this great trial of strength Equestrian, which runs through our land of Andalusia, has given us a meal in one of the booths in the exhibition area. Masterton's Gemma Haywood was a star performer at the 2011 New Zealand horse riding endurance championships at Kuratau, Taupo, over Easter weekend, winning titles in both the 80km one-star and 120km two-star events. And she was not the only member of the Haywood family to feature prominently, with her mother Sandra picking up a third placing over 60km and her father Tony and brother Cole being part of their strapping team, along with Kelly Mason and Jordyn Piripi. Good Friday saw Gemma Haywood competing in the 80km one-star competition on her homebred mare Roselea Flaunt It. They took the honours in a time of 4hr 54min. Haywood said she was "extremely proud" of her charge as she was in her first season of endurance and only completed the novice grading system in December last year. Andrea Smith and Glenmore Tariq zoomed home to win New Zealand's national CEI 3* Endurance Championship, completing the 160km at Lake Taupo over Easter in 9.34.55. Riding in perfect conditions the combination travelled at an average speed of 16.7kph and finished unchallenged. Abu Dhabi: Fatma Al Merri and Shattra Al Hajjaj will become the first female jockeys from the UAE when they don the silks in an official race to be held in Duindigt, The Netherlands on June 19. Thanks to instructions from Shaikh Hamdan Bin Rashid Al Maktoum, Deputy Ruler of Dubai and Minister of Finance, the two endurance riders at his Seih Assalam Stables have been chosen to race in the Shaikh Mansour Bin Zayed Al Nahyan Global Arabian Flat Racing Festival's Her Highness Shaikha Fatima Bint Mubarak Fegentri Cup race. "For us this is a big step for our country. Shaikh Hamdan instructed me to support the Shaikh Mansour Festival and encourage Emirati jockeys," said Ali Al Muhairi, Racing Manager for Shaikh Hamdan. "Both Fatma and Shattra have been very good endurance riders and now they have been training every day to take part in the flat race," he told Gulf News. "We have two experienced jockeys training them and they have said that both Fatma and Shattra have been improving by the day. We have installed a starting gate and have also made an oval shaped course so that they train to race on the bends," said Al Muhairi, who is among the top endurance riders in the country. Speaking to Gulf News, Shattra said she was looking forward to the new experience. "I am excited ever since I was named to race in Holland. I have to thank Shaikh Hamdan and Shaikha Fatima Bint Mubarak for all the support," said Shattra who has quit her job to take up equestrian sport full time. "I was 54kg when I started but now I am 52 and we have been working very hard. I have been involved in endurance riding for about a year now and have taken part in many events," she said. 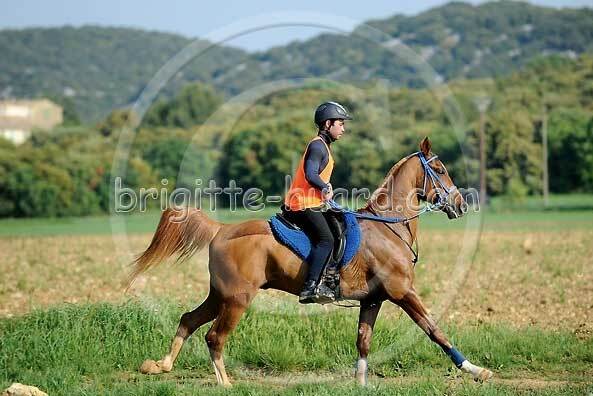 Fatma has already won endurance rides and is hoping to excel in flat racing too. "I am very keen to do well. I have gained a lot of experience in the last two years in endurance and now I am really enjoying this exciting new prospect," said the Grade 12 student of Al Rayya School. "The facilities provided by Shaikh Hamdan for us are very useful and we want to do well for his sake and for the country's sake. It has been very exciting since we started training for the flat races and I want to stay focused," said the Emirati school girl. The prize money for the Shaikha Fatima Bint Mubarak Fegentri Cup race to be held on June 19 at the Duindigt race course in The Netherlands is €20,000 (Dh108,714). Guillaume Raffalli came first on Oahira la Majorie at 19.88 km/h. MOHAMMED Hilal Al Khatri of Al Asayel Stable won the End-of-Season Endurance Ride Championship early yesterday morning at the Bahrain International Endurance Village in Sakhir. Al Khatri, riding Al Andell Muscat, overcame a poor start to clinch the 100-kilometre event in a total ride time of four hours 20 minutes and four seconds. The race was organised by the Bahrain Royal Equestrian and Endurance Federation (Breef), and it was held under the patronage of Supreme Council for Youth and Sports first vice-chairman and Breef president Shaikh Khalid bin Hamad Al Khalifa. Shaikh Khalid was in attendance during the event's final moments and he later presented the top three finishers their respective trophies. The ride's complete distance was divided into four stages, with the first two legs covering 30 kilometres apiece, followed by a 25-km third leg and a 15-km final stage. Al Khatri had a relatively slow start to his campaign as he found himself in 14th position after the opening leg. But he battled his way into the top six after the second stage and was in contention in fifth after the third, from where he raced to the front for a strong finish during which he registered an average pace of 23.07kph. Al Khatri built a comfortable two-minute gap ahead of his closest rival in the end. Nezar Hassan Mohammed of Hawar Stable, riding Tirroan, finished as the runner-up with a total ride time of 4:22:43. Mohammed had a consistent showing in the event, never moving out of the top since the start. Saud Fawzi Al Doseri of Al Shawamek Stable, saddled on Dum Dum, came in third place with a total ride time of 4:26:42. Al Doseri was the leader after the penultimate stage, but he could not hold on to his lead at the end. Khalifa Saad Sharida Mubarak of Al Asayel riding GE Lady finished fourth in 4:28:50; teammate Bader Ateeq Edham on Al Jared was fifth in 4:29:29; while Abdulla Yusuf Al Qasimi of Al Magawir Stable and riding Jellaby Kafour came sixth in 4:29:44. The championship's early leader, Raed Mahmood of Al Shawamek, could not claim a place among the event's top finishers. After taking the lead at the end of the first two stages, Mahmood dropped to fourth after stage three and was not classified in the final rankings.